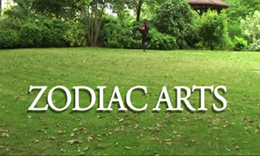 [+] Zodiac Arts: sports and recreation activities for people with special needs. 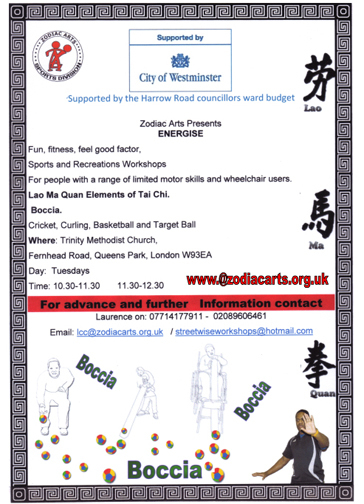 Zodiac Arts provides workshops for sports and recreation for children, young people and adults with special needs and disabilities particularily wheelchair users, in Greater London and the UK. Zodiac-Sports 04 All. 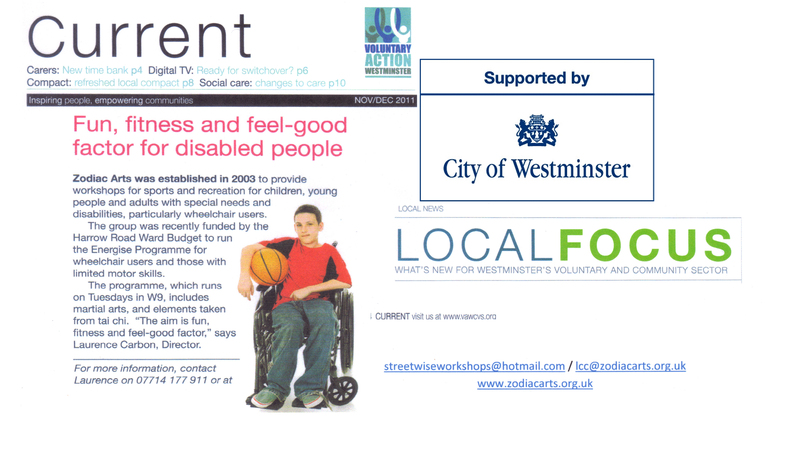 Fills a gap for special needs and mainstream sports. Our creativity and adaptability allows us to make use of equipment designed for mainstream sports and recreation activities as well as ordinary everyday items and adapt and tailor make them for individual clients with special needs, as well as for carers and parents. For example: having fun is what is important so we use the basic concepts of well known games such as Table Tennis, Volleyball and Boccia and remove the rules so that people with special needs can take part in whatever way they can. We have a range of activities. Click to see the flyer and find out more about new sessions. 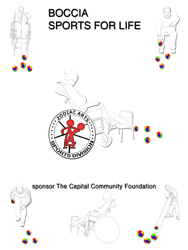 Our aim is to provide a range of activities and workshops for children and young people with special needs and disabilities to improve their quality of life, enable them to fully participate in the community, take part in sports and recreational activities, build their confidence, their choice, their human rights and social inclusion. 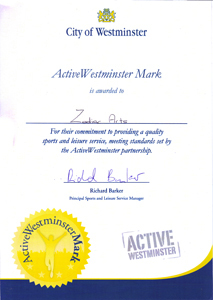 We provide a sports and recreational based programme for the community whatever their ethnicity, religion or background in the Uk. As a newly formed volunteer organisation with charitable objectives Zodiac Arts has spent considerable time and resources focusing on providing a quality service which gives value for money and adheres to best value. Furthermore we have been able to volunteer various services to cater for the individual needs and skills of the users and their families. 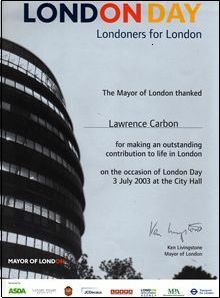 Laurence Carbon is the Operation's Director of Zodiac Arts. 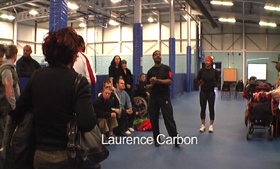 Through his martial Arts training he has developed his unique approach to special needs and sports. 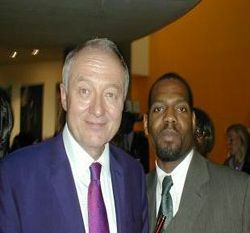 Ken Livingstone with Laurence Carbon.